His student-days neighborhood is changing, thanks in large part to Wake Downtown. I noted with interest the story (“Wake Forest’s New Frontier”) of the new downtown campus in the Fall 2016 edition. The contrast between what the school is building downtown and my memories of living there in the late ’80s could hardly be greater. I graduated from the full-time graduate school of management in 1989 and lived on the 700 block of Trade Street downtown 1987-89. I was hoping for a more urban lifestyle than the Reynolda campus offered and found that downtown living then was a pioneer experience. Groceries could only be obtained by driving out to the suburbs, restaurants were nearly non-existent. The Trade Street ‘arts district’ was barely born and where I lived was the only residential building around. Next door was an active tobacco auction house, across the street a junk shop run by a man who wasn’t quite all there who lived in the back among the junk. My building had formerly been a whorehouse, and sometimes on Saturday nights cars from the country would still drift by as we played night Frisbee in the street. 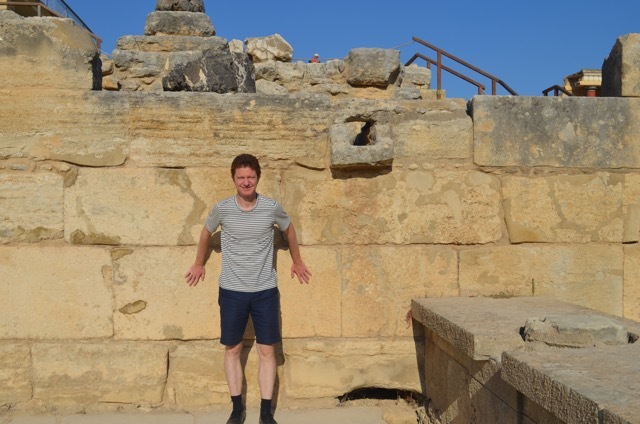 Chuck Gordanier during a recent visit to the Palace of Knossos in Crete. Downstairs in the retail space were some guys with an enormous collection of 78 rpm blues records that they played whenever in the house, fueling themselves with ample illicit smoke. Up the block a doo-wop group of auto mechanics would practice after work hours. One weekend morning I awoke to an enormous blast as one of the beautiful old brick tobacco warehouses on what may be your campus today was demolished. I may still have a glass brick salvaged from the pile. Nice to see that other tobacco buildings are meeting a better fate. 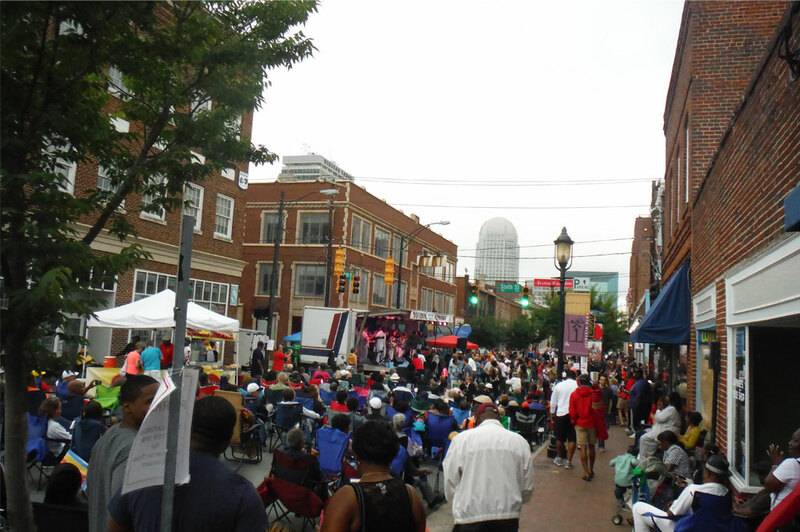 I applaud your efforts to create student urban life in Winston-Salem. Although I haven’t been back since graduation, I would hope there may be enough commerce and culture to make your downtown campus a success. Chuck Gordanier (MBA ’89) is chief of marketing and advertising for the Metropolitan Transportation Authority in New York City.